“Investing” in Bitcoin — Simple AF! So why am I writing this blog? I am writing this blog because over the last few months, the hype around Bitcoin has been CRAZY! But… it is easier to extract blood from a stone than finding a simple explanation of what or how money is made with Bitcoin. I don’t know about you, but I am YET to see a blog or video that explains it simply?? Or they “claim” they do but it is still confusing af and if you are anything like me, you like things very simple in black and white, no fifty shades of grey (we’ll leave that to E. L. James). So if you like the sounds of things so far, then keep reading because one thing I can assure to you is that by the end of this blog (or even before that), you’ll have enough knowledge to “invest” in Bitcoin. After you read each paragraph, I encourage you to re-read it twice to fully understand what I’ve said before moving onto the next paragraph. I am not an expert nor am I trying to be. I’m just saying it as I see it. Don’t take anything I say in this blog as gospel, do your own research. This blog is aimed at people who have NO IDEA what Bitcoin is but wouldn’t mind having fun and joining the party from a VERY SIMPLE perspective. Though this is not short, I hope it is still as simple af to understand. So let’s begin! To be 100% honest with you, I have no flipping idea! What I do know is that it is a digital currency (crypto/online currency) founded in 2009 by Satoshi Nakamoto (who apparently isn’t even a real person). Well I take that back, I do have some idea, but not enough to explain it simply. But the good news is that you don’t NEED to understand what Bitcoin is to “invest” in it! You probably don’t know how Sliding Filament Theory works but if you want to contract / tense your muscles, you could do so with ease. Or you might not fully understand how gravity works in terms of Einstein’s Theory of Relativity, but you fully understand that if you throw a ball into the air it will come back to down the ground, because what goes up must come down. So in this blog, I make NO attempt to try and explain what Bitcoin is because you don’t NEED to understand it to make an “investment”! It’s not essential. All these terms you hear floating around like “Blockchain”, “Mining”, “Ledger” etc. can be learnt another time. So ignore them for now because to get started you don’t need to know exactly what Bitcoin is! (I bet that’s a relief for you). In fact, don’t even call it Bitcoin, call it anything you like! “Apples”, a “laptop”, a “cat”, the word itself isn’t important. So if it makes it easier for you to understand, replace the word “Bitcoin” with something else. By the way, I just said those random words because they were the things around me. My cat was even on my lap. But it’s not just Bitcoin! Before we move on, this is very important to know. Bitcoin is only ONE type of Crypto (online) currency. Just like Pound Sterling (£) is ONE type of PHYSICAL currency. There are other types of Cryptocurrencies (like Ethereum and Litecoin), just like there are other types of physical currency (like Dollars and Euros). Does that make sense? But the problem is, when most people talk about Bitcoin, what they really mean is Cryptocurrencies on the whole (Bitcoin, Ethereum, Litecoin etc.). 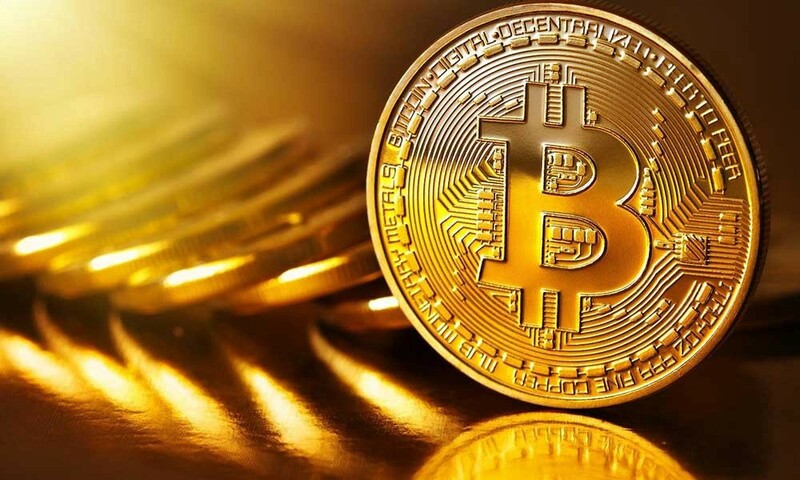 However, it seems that the word “Bitcoin” has become the blanket term when the average person talks about Cryptocurrencies (I guess because it has become the most popular one). It’s like an alien who’s been to earth, going back to his home planet saying to his friends “have you heard about this thing called dollars?” when he (or she) really could be meaning “have you heard about this thing called money?”. Do you get my point? Bitcoin is only one TYPE of Cryptocurrency just like Dollars is only one TYPE of Money (Physical Currency). So for simplicity and for the sake of this blog, when I mention Bitcoin, please understand that I could be meaning Cryptocurrencies on the whole. But because most people are familiar with the term Bitcoin, I will use the term Bitcoin (…but I could be meaning Cryptocurrencies on the whole). But why are people getting excited over it? Firstly, because they feel it’s going to be the biggest disrupter and change in human history (overthrowing the banks, the currency of the future etc. ), but we’re not touching on that here. And secondly, because there is money to be made! Okay so how do you “invest” in Bitcoin? I’m glad you asked! :) But before I tell you, you may have been wondering why I have put the word “invest” in inverted commas (in the title of this blog and throughout). This is because I don’t want you to see it as an “investment” in Bitcoin. I want you to see it essentially as just a gamble! When (or if) you go to a Casino and put your money in a machine, would you say “I’m an investor in the slot machine”? No, you wouldn’t. You’d just say, “I put my money in and gamble on the slot machine”. It’s just the same with Bitcoin. You are putting your money in and taking a gamble. So how do you gamble with Bitcoin? The same concept can be applied to Bitcoin. For you to get Bitcoin, you have to go to an exchange, but this time online, to do it. There are many places you can do it, however from my research (looking at reviews and forums), I decided to go with an exchange called Coinbase. This is because it’s very easy for a beginner to use, it’s very user friendly and it’s blue! (my favourite colour). But I encourage you to do your own research because Coinbase does have its pros and cons. For example, it does have higher transaction fees than other exchanges. Just like the Post Office may have a higher exchange rate than getting Euros at the bank. The exchange you choose is simply the medium (or the shop if you like), but for this blog, I am going to be talking about Coinbase. How do you get started with Coinbase? To be honest with you, it’s very simple just like when you sign up for anything online so I won’t talk about it much on this blog. You simply sign up with your name, date of birth and email. They then email you to verify your email. And then at some point, they’ll ask you to upload some sort of ID (Drivers Licence or Passport etc.) to prove you are who you say you are. At first, I was sceptical to do this so put it off for almost 5 months (and missed out on some major growth!). But then I thought, “you know what, this is legit and secure. I’ve got nothing to worry about”. I’ve got a Coinbase Account, now what?? Cool so you’ve got an account set up with Coinbase (through my link I hope). The next thing to do is get yourself some coins! On Coinbase, you can buy Bitcoin, Ethereum and/or Litecoin. I personally decided to go for all three. But you can buy whichever coin you want! YOU CAN BUY AS LITTLE AS £1!! So you don’t HAVE to buy a WHOLE coin! You buy a fraction of a coin depending on how much you want to spend! For example, you might want to only buy £1’s, £5’s or even £10’s WORTH of Bitcoin! (… or Ethereum or Litecoin). So you don’t OWN a whole coin, you only own a percentage of a coin! But that’s okay because you can still make money on what you’ve put in! It’s just like when you go the roulette machine. You can put £1 in, £10 in or even £1,000 in if you want to! But again let me reiterate, this blog is all about simplicity. So I won’t be discussing “when to buy”, “at what time of market”, “wait till Bitcoin is… price” etc. because for the average person with zero experience, it’s irrelevant and is just hella confusing. But please remember as I said earlier to see it as a gamble. So only and I mean ONLY put in what you are prepared to lose! As in only put in what you don’t mind losing because there is NO guarantee you’ll make any money! Yes based on everything that has happened so far, A LOT of money has been made. BUT it is so uncertain! The market can crash within the next 5 minutes! Nobody knows! That is the risk you take, hence why I say to see it as a gamble! But the beauty of it (especially with the app), is that it’s so nice to log in and look at how much your money has increased (or sometimes decreased) every day :) and that ladies and gentlemen is your guide to: “Investing” in Bitcoin — Simple AF! But wait… it’s not over yet! Let’s very briefly talk about the following because I want to be completely transparent so you can make an informed decision whether to “invest”. You may have heard this term or something along those lines. Or people comparing Bitcoin to the “Tulip Mania” in the 1600s. It makes Bitcoin no different to just having fun and playing a game (going to the bookies, playing the lottery etc. ), rather than being so serious and seeing it as an “investment”. Especially for the beginner like you and I. Though there are experts out there taking it more serious, e.g. “buying low and selling high” on a daily basis and doing other tactics, that is not important to us for now. For some, those words are an absolute no go. I am not going to attack nor defend the Network Marketing industry here (you can do your own research). But because some individuals and companies have integrated MLM with Bitcoin, it has completely put some people off Bitcoin because they don’t like MLM. Does that make sense? If I, hypothetically, love apples but hate bananas, I may hate it if someone offered me an apple and banana smoothie. BUT… if someone offered me an apple smoothie on its own, I’d love it! That’s just like Bitcoin, you don’t have to have Bitcoin with MLM. My advice? When someone is telling you about Bitcoin, ask them if they (or the company) has involved it with MLM. Because you don’t have to involve Bitcoin with MLM if you don’t want to. Yes you can! Your Bank Account / Debit Card is paired to your Coinbase account and just as easy as it is to transfer money between your Bank Accounts (Barclays to Santander for example), you can move money between your Coinbase Account and your Bank Account (minus the transaction fee). This can take several business days for the transaction / withdrawal back into your Bank Account. You have to set it up with your SWIFT / BIC Code (available to see on your Bank Statements or Online / App depending on who you Bank with — contact them if unsure). But other than that, it’s just a simple Wire Transfer. 4. What’s the point? People don’t even spend Bitcoin… Or, if Bitcoin is as good as they say it is as an Online Currency, why are people using it only to make money in Physical Currency (Pounds, Dollars etc.)? Have you heard people say things like that or something along those lines? My answer to that is they could be right, but who cares? As beginners, we are just having fun “investing” and making what money we can. Whether or not people spend Bitcoin itself as a currency is irrelevant to us. However, a quick Google search will tell you that there are places accepting Bitcoin as a currency. So there are 4 of the most common reasons I’ve heard people say for not “investing” in Bitcoin and with them, I have provided my response. And finally, here are my last comments that I want to share with you in my blog “Investing” in Bitcoin — Simple AF. How does the percentage increase or decrease of your money work? If you put in £10 and the price of Bitcoin (or the Bitcoin value) has increased by 10%, your £10 will also increase by 10%. In this case, 10% of your £10 is £1. So your new amount would be this £1 increase + your initial £10, therefore your new amount would be £11. See it as the money you have invested personally is paired / connected to the Bitcoin on the market. So by whatever percent the Bitcoin on the market increases or decreases, your money in your Coinbase account will increase or decrease in the same way. Yes Maths can you help to understand things, but it is not essential as it is all worked out automatically. Like I mentioned before, the best way to understand it all is to “invest” as little as £1 and then every day or every week or whenever you want to, check your app to see how your money has increased or decreased. Why should I “invest” in Bitcoin? - Money in your bank account WON’T decrease or disappear overnight (or it shouldn’t lol). With Bitcoin, it CAN decrease or disappear overnight (that’s the gamble). - Bank accounts have s**t interest rates (at the time of this blog, the best saving account interest rate in the UK is 2.45%. Are you f**king kidding me!). Whereas with Bitcoin, the percentage increases have been mental!!! I’m talking like 130% in one day! Compare a 130% increase in ONE DAY to a 2.45% increase in ONE YEAR! Don’t p*ss me off! Don’t take my word as gospel. By now you must have realised that I am not an expert. I’m just your average bloke when it comes to this sort of stuff. I’ve dabbled in it and now I’m just saying it how I see it for the average person to consider it too. Understanding exactly why Bitcoin and Blockchain technology works the way it does is a whole nother level. This blog is simply an introduction.